Bingo-based Websites are all the rage at the moment, with hundreds of different sites all vying for your attention. BingoDab brings an app that claims to offer something a little bit different from the usual crowd; interactivity. This app plays in a very similar way to some of the pub bingo machines doing the rounds at the moment, where you have to rely on your reactions and number processing ability as much as you do on pure luck, to succeed. This means that you are not simply watching a game of bingo play out, as you do on many sites and apps, but you actually feel like you are taking part and, more importantly, that your own level of skill and experience can tip the scales in your favour. 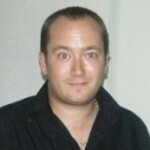 It is this difference that means we can recommend the app so highly. 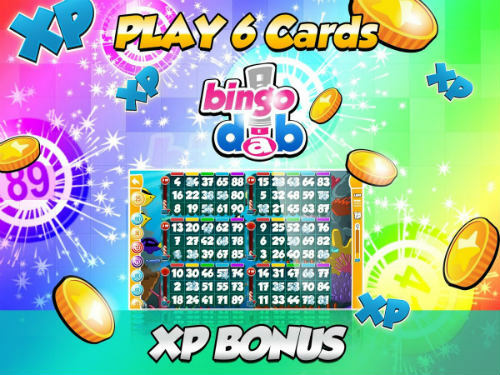 Bingo is obviously very addictive within itself, so to have an app where you actually have to dab the numbers yourself is going to be a good thing for bingo addicts everywhere. REAL BINGO DABBING EXPERIENCE. Ladies and Gentlemen, join the BingoDab party by getting your dabbing finger ready. Finally, a Bingo game that combines 90 ball, social features and skill with 100% manual bingo dabbing. Our unique 90 ball bingo cards have no repeat numbers that allow you to be a shark and bash away with 6 cards at once. We are very social too – earn bonus XP, bonus coins, earn collectibles, and other surprise items revealed when you dab. Correctly dab your Bingo card and press the CLAIM button when you have a winning line or house across our range of high roller big jackpot bingo casino rooms. 90 Ball bingo has never been so accurately recreated online and 75 Ball bingo is coming soon so you can Daub your Bingo Card in a Blitz! WORLD’S NUMBER #1 ANDROID SKILL BINGO GAME. Only at BingoDab do players get awarded for Accuracy and Speed of dabbing. Players who hit the fast lane and blitz the number called can earn from 1 to 4 Bonus XP. Play today as sky is the limit, reach seven heaven, throw a gala, the world is yours as you climb top of the hill becoming our ACE DABBER. Our Ace Dabbers play 6 cards at once, can you? The game has great theming, with a set of rooms for players to collect items for, adding a nice meta game to proceedings, and the look of the game is pretty good in general. The music is of the ‘lounge’ genre, which is good in many ways, but I would have liked a little bit more variety here. The XP system seems to be pretty fair, and I had no frustration with the way the game handed out numbers, and although I am no expert at bingo, I manged to progress quite smoothly with no real roadblocks that I could find. There are plenty of bingo and casino apps around, but I can tell that this one has been crafted with a bit more love and care than the rest of the pack. With an addictive skill at the heart of the experience, plus that ever loved bingo feeling and with plenty to unlock and collect, there is a lot to like here. Highly recommended for all skill bingo lovers.